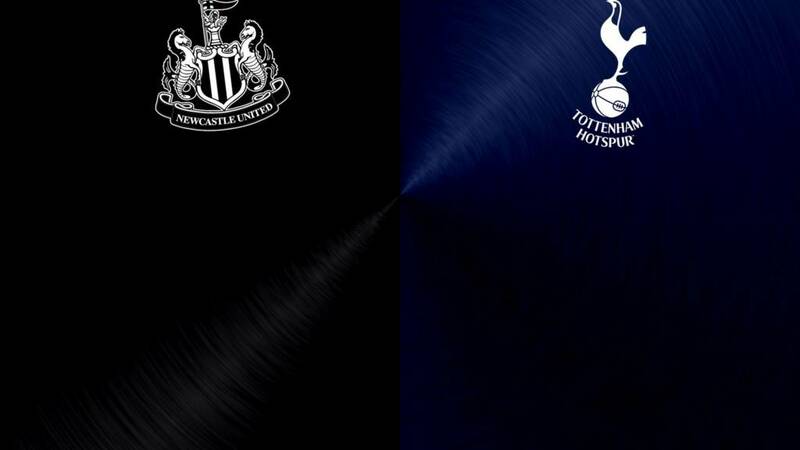 Newcastle: Darlow, Janmaat, Taylor, Mbemba, Dummett, Tiote, Colback, Townsend, Sissoko, Wijnaldum, Mitrovic. Tottenham: Lloris, Walker, Alderweireld, Vertonghen, Davies, Dier, Mason, Lamela, Son, Eriksen, Kane. Strange emotions among the players and fans - a relegated team which produces one of the Premier League displays of the season. The question is will Rafa Benitez stay on? He seems to have had a positive effect on the team. The home fans continue to chant the Spaniard's name after the whistle. And Spurs? They finish third, behind Arsenal who won 4-0. A terrible end to the campaign for Mauricio Pochettino's men. Newcastle have been playing with 10 men since the 67th minute. They might ask Sunderland fans to pay for more planes to fly over St James'. "After that Chelsea game you could see mentally that Tottenham had gone and it is come to the fore today." Dutchman Daryl Janmaat, who blows more hot and cold than your average hairdryer, slides the fifth past Hugo Lloris after being set up by Rolando Aarons. They are playing with 10 men. This is like the Keegan days. Andros Townsend almost destroys Tottenham's woodwork with an unbelievable shot that rebounds to sub Rolando Aarons who finishes with a ridiculous tight-angled drive which Hugo Lloris had no chance in stopping. Andros Townsend runs down the left cuts inside and drives a shot low that Hugo Lloris collects. Then that man Moussa Sissoko - who must have had three of those big cereal wheat blocks - races forward and smacks a shot that drifts inches wide of the Tottenham upright. Sissoko again is fed by Townsend. This time the midfielder low effort is blokced by the busy Hugo Lloris. Sissoko is replaced by Jamie Sterry for his debut. Magpies fans will be puzzled to see this display from skipper Moussa Sissoko. Another powerful run from the France midfielder ends with a rasping shot that has to be pushed away by Hugo Lloris. The Rafa Benitez chants start echoing around the stadium again. The Dutchman steps up and sends Hugo Lloris the wrong way. Admittedly, Lloris sent himself the wrong way. As I said many times earlier, this is weird. Wijnaldum is substituted after his two-goal effort. Moussa Sissoko puts on the after-burners and charges into the area after what seemed like a 50-yard run. Jan Vertonghen is judged by Anthony Taylor to have illegally brought down the France midfielder. Georginio Wijnaldum will take the pen. "It's a horror tackle, he is not only lining the player up, he has gone over the top. There is no place in the game for a challenge like that." Aleksandar Mitrovic had this demonic look about him today. The replay of his incident with Kyle Walker showed that the Serbia striker went studs first near the ankle area of the England full-back. It looked very, very nasty. Ref Anthony Taylor, after discussions with his assistant, brought out the ol' top-pocket red. Mitrovic mouthed something as he went off. Sub Josh Onomah tests Karl Darlow with a low drive. There is another goal in this. While that is all happening Spurs full-back Kyle Walker and Newcastle's Aleksandar Mitrovic clash halfway up the pitch. Erik Lamela is set free down the left of the area by Eric Dier. But the Argentine's attempted cross turns into a shot that finds a gap between Karl Darlow's gloves at the near post. The keeper was surprised it went in, but he should have done better. Lamela didn't bother celebrating much. Ben Davies sets up Erik Lamela charging towards the six-yard area. But the Argentine forward falls over under pressure. Christian Eriksen's free-kick hurtles towards Aleksandar Mitrovic's face. The big man is down for a bit, but he's OK. Tough as old boots.